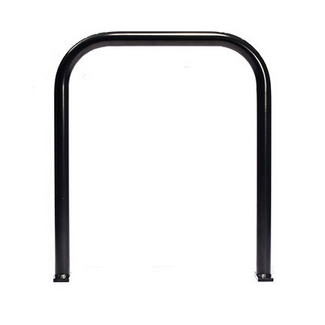 The classic bike stand: simple, affordable, secure. Both stands are steel, covered in black Rilsan Nylon: an extremely hard wearing, scratch and chip resistant coating. Warm to the touch and kind to cycle frames. Each stand provides secure parking for 2 bikes, one locked on either side of the stand.